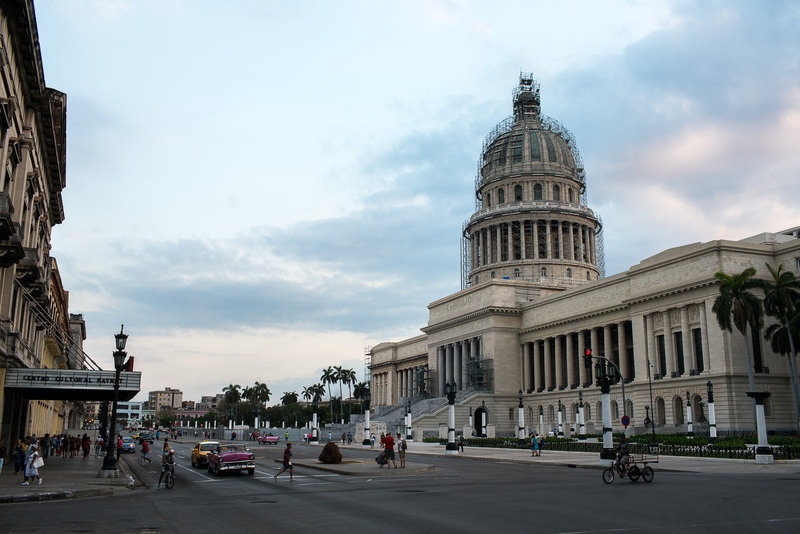 Havana is probably one of the most beautiful and photogenique cities on earth. 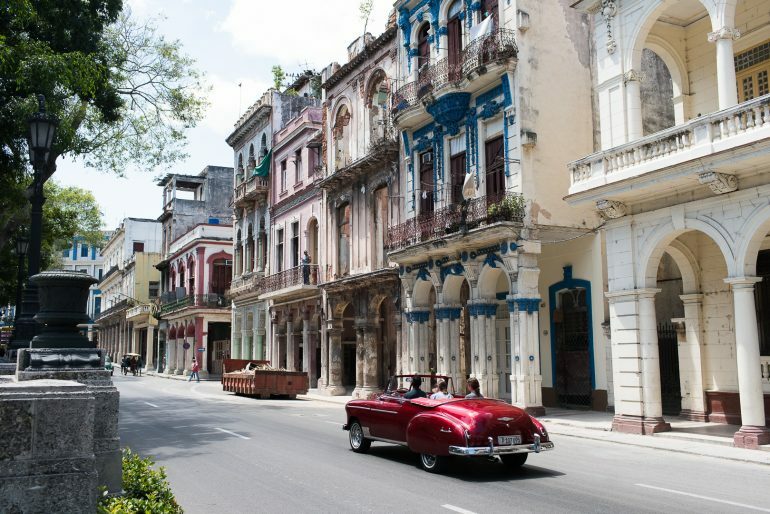 The central and old parts of the town are filled with majestic town houses and imposing commercial buildings from the colonial times right up to the 1950’s after which it seems like both new developments as well as maintenance just stopped. For anyone who’s played Fallout, this is like stepping into the game. 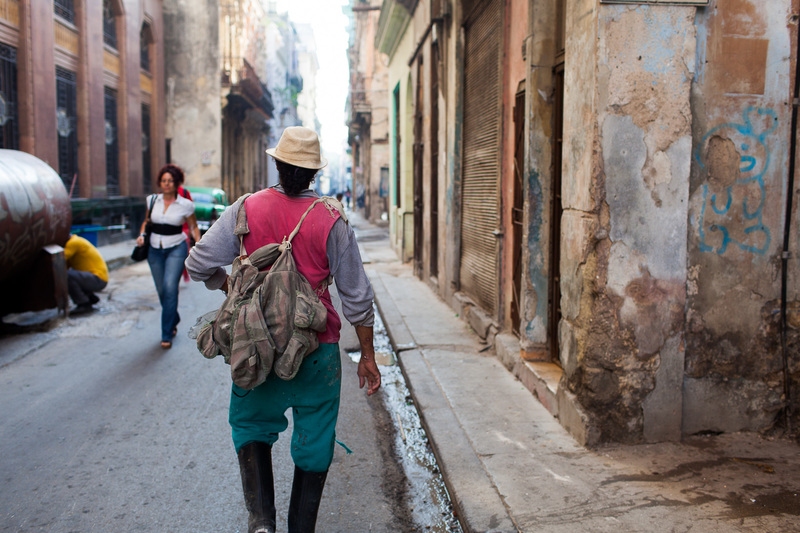 Only it’s for real, and you can see how the resourceful Cubans work with what they have available. This is evident in much of the food as the produce and meat is of low quality and cooked without much finesse. As a tourist you need to set your expectations low as most service professions have no idea what service means. This is equally true at the luxury hotels and classic hot spots as it is at more modest places. But there are exceptions that start to pop-up, especially the privately owned restaurants which are run by people who actually care about what they do and work around the limitations. The results can be spectacular, but this is not the norm. You’ll be safe anywhere you go, but it can be a little bit tiring to hear the constant offers for taxi or or to have a look at menus in the tourist areas. Be advised that places can be closed or renovated without advance notice, so please let us know if the places in this guide need updating. Most food is really boring or outright bad, and it doesn’t matter how fancy or rich history the place has. There are exceptions though, find these and you’ll get an unforgettable experience where your transported straight into fantasyland and feel like your part of a high budget movie. Atelier. Calle 5, No. 511. Casa Miglis. Swedish-Cuban fusion food. Lealtad 120, Animas y Lagunas, Central Havana. Café Laurent. Calle M No 257, between Calles 19 and 21, Vedado. 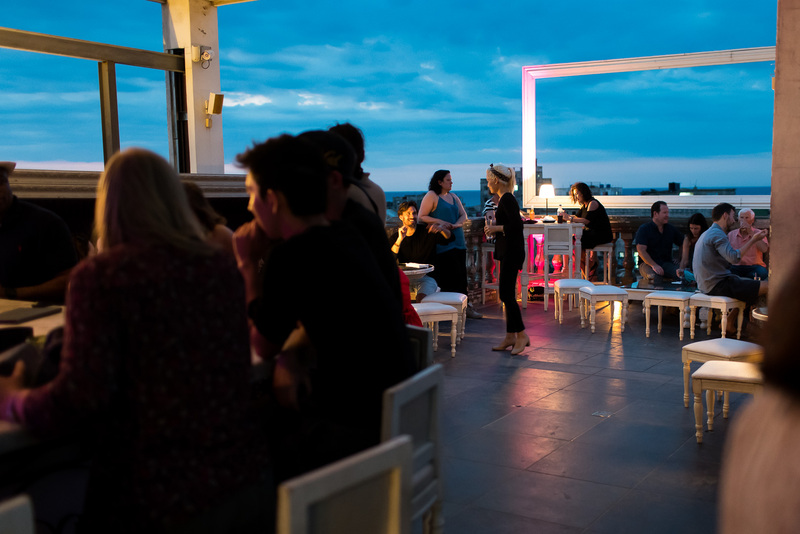 La Guarida roof top bar. Bad frozen daiquiris and mojitos seems to be the national drink of Cuba and there are hordes of tourists that seem all to happy to drink this at the countless bars. The good, private restaurants usually also has better cocktails than the state run establishments. Opus Bar. Old-school lounge bar. Teatro Amadeo Roldán, Calzada, on the corner with D, Vedado, Havana. La Barrita. Art-deco bar inside the Bacardi building, closed for renovations during spring 2017. Bar Monserrate. Much calmer place than neighbour El Floridita, with live music that has a good selection of aged, premium rum that’s preferable to the drinks. Ave de Bélgica (Ave. de Bélgica (Monserrate)) No. 401, esquina Obrapía. Pastelaria Francesa. Good location next to Hotel Inglaterra and Parque Central, and probably as good as it gets in Havana, but on any comparative level this is a mediocre/bad coffee or pastry shop. 416 Paseo del Prado. Rooftop of Ambos Mundos Hotel, Calle Obispo No. 153 esq. a Mercaderes. 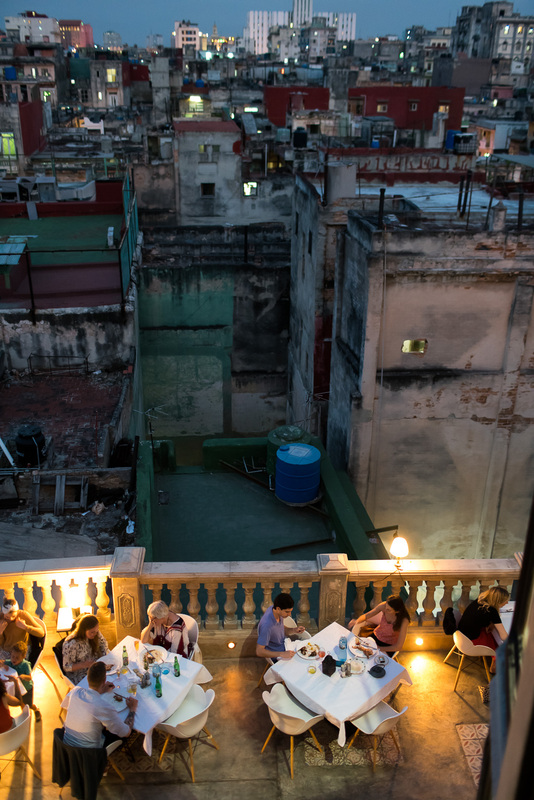 Spectacular views over Old Havana, but not good food or drinks. Might be worth the trip just to ride the elevator and see the sun set though. Take a taxi ride in 50’s cabriolet. There’s an abundance of classic cars parked by Parque Central, choose your favourite and get a one hour sightseeing tour for around 50 CUC. Walk the El Malecon. 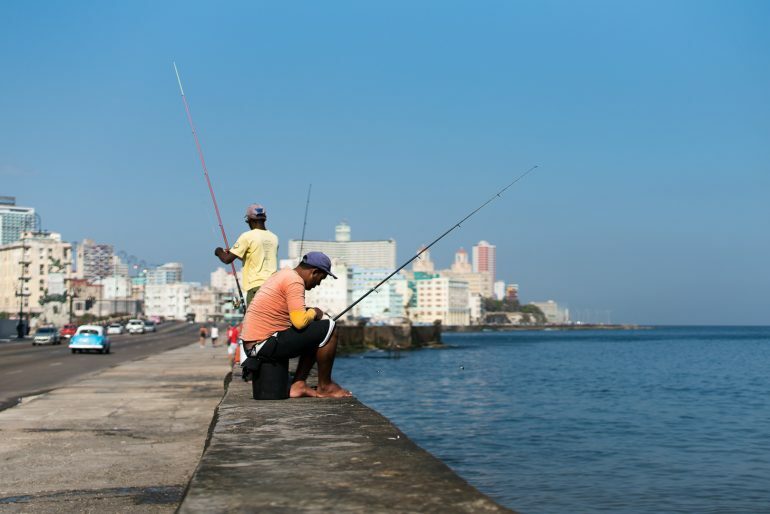 Many people, locals and tourists alike, go down to El Malecon by night to see the sunset, but it provides a great view over the city and ocean any time of the day.